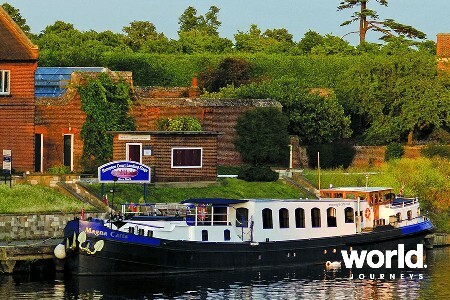 Cuisine is traditional Scottish fare - salmon, game and seafood, prepared by your own Master Chef, and the hotel barge's experienced crew of four will take care of your every need. 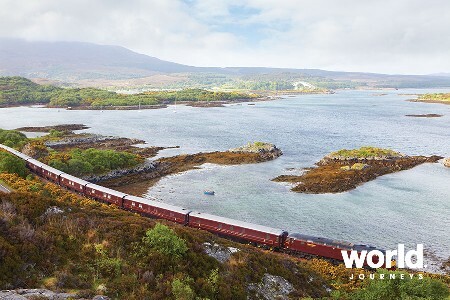 A cruise aboard Scottish Highlander along the Great Glen as you admire some of Scotland's finest scenery will be unforgettable. 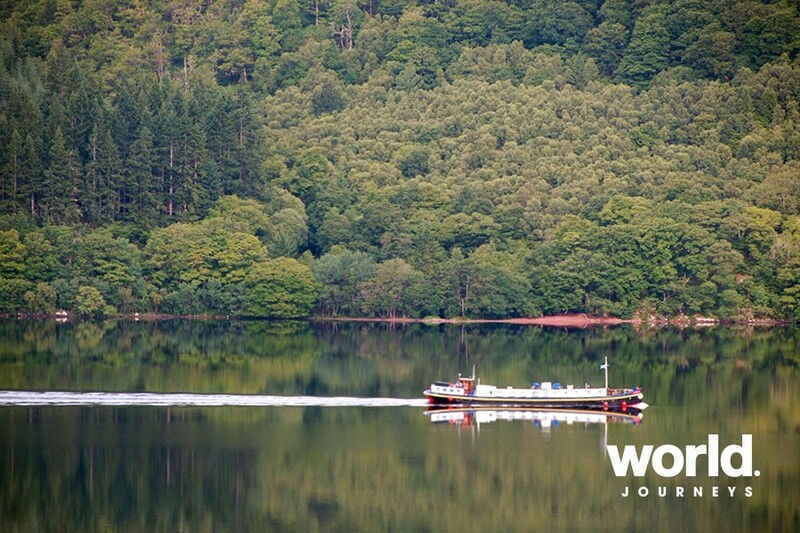 According to guests who have embarked on a barge cruise, Scotland is one of the top regions to see from the water. 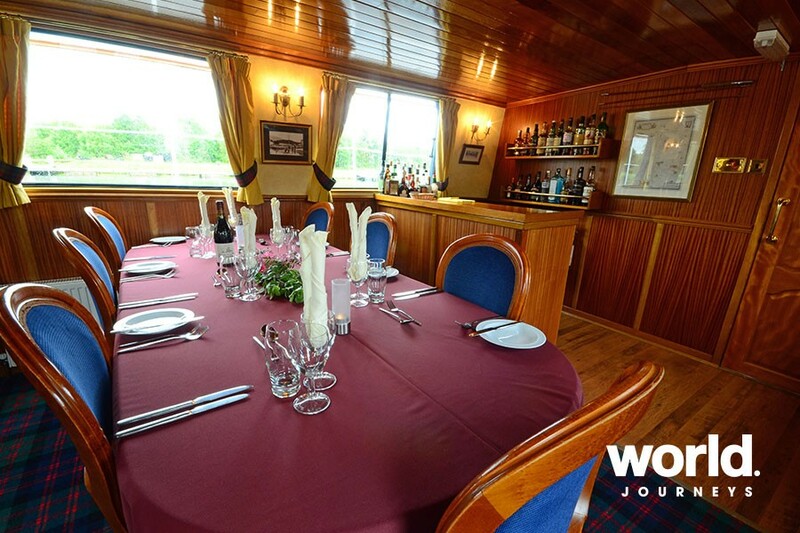 The 8 passenger Scottish Highlander has been designed specifically for our Highland cruise. 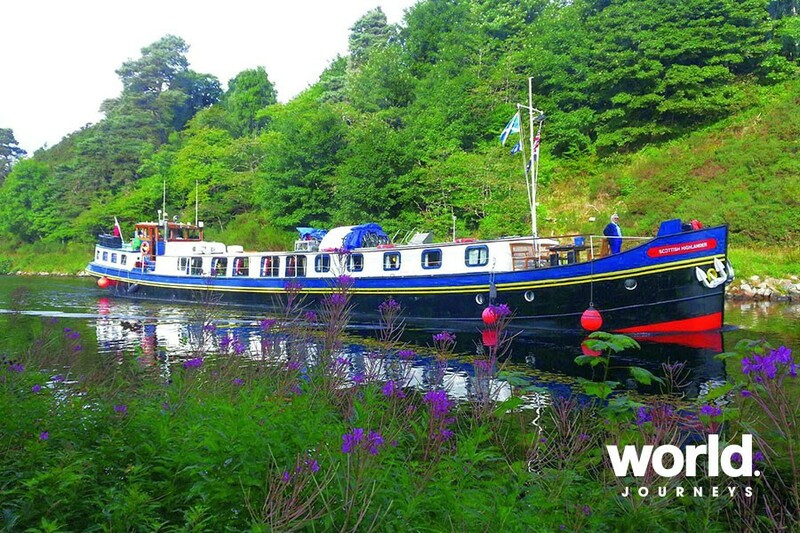 Aboard a luxury barge cruise, Scotland's lochs and the Caledonian Canal are accessible all year round. 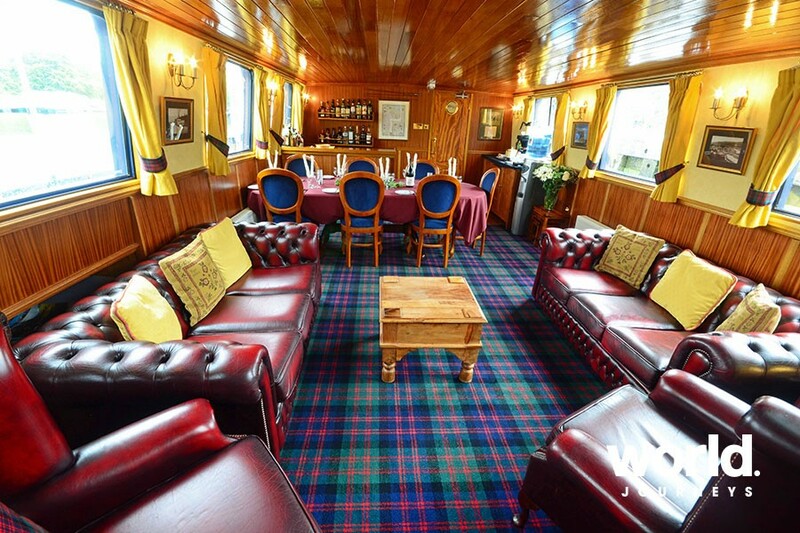 Luxury Canal Cruises in Scotland - The Caledonian Canal, Loch Ness & the Highlands from Hotel Barging on Vimeo. Day 1: Inverness > Muirtown Meet at the Glenmoriston Town House Hotel in Inverness and transfer to the Scottish Highlander moored at Muirtown. Champagne welcome followed by an early evening stroll to the sea lock with views over Moray and Beauly Firths. Dinner on board. Day 2: Muirtown > Dochgarroch Our first cruise will take us up the Muirtown lock flight and through Tomnahurich swing bridge, with an option to walk alongside River Ness to the hamlet of Dochgarroch. After lunch on board, on our tour today we drive through stunning hilly scenery to take a closer look at one of Scotland's best known exports, whisky, at the Glen Ord distillery, founded in 1838 on the Black Isle by the Mackenzies of Ord. A fascinating description of the maturing and ageing process of single and blended malts is followed by our special tasting. Dinner on board. Day 3: Dochgarroch > Fort Augustus This morning we enjoy Cawdor Castle*, forever immortalised in Shakespeare's "Scottish Play", Macbeth. 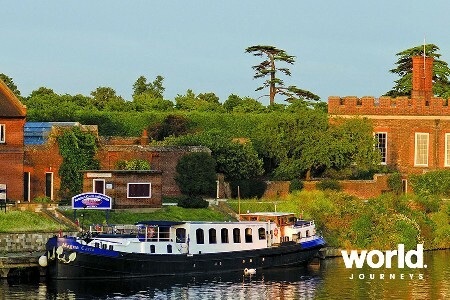 The picturesque gardens have been listed as being amongst the top 100 in the UK. The castle contains a superb collection of tapestries, pictures and furnishings and the Dowager Countess of Cawdor still lives there for part of the year. Then we visit Culloden Moor, scene of the last major battle on British soil in 1746. If there is time, we end our tour at the Clava Cairns, a pre-historic clan chieftain burial site dating back to 2,000 B.C. Our cruise today is through Loch Dochfour and down Loch Ness with perhaps a chance of spotting "Nessie" before arriving at Fort Augustus. Dinner on board. Day 4: Fort Augustus to Cullochy After breakfast, our cruise takes us up the "flight", as the locals call it, at Fort Augustus and then on to our pretty mooring at Cullochy. 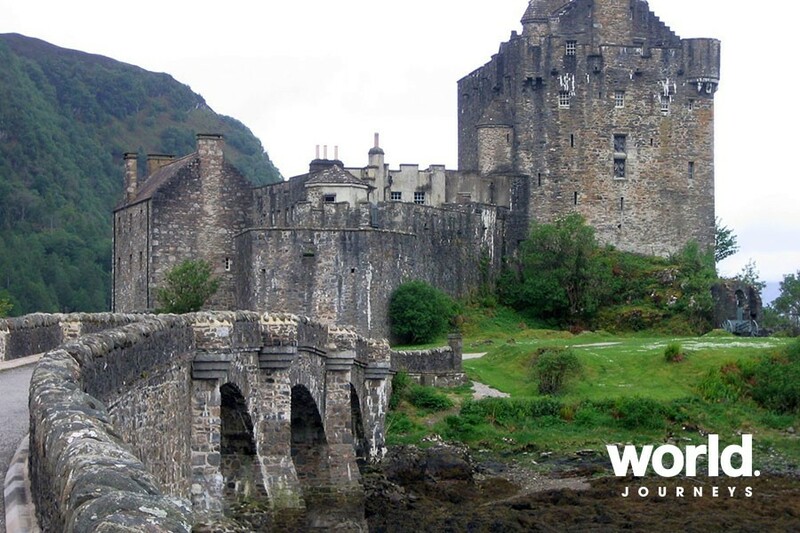 Later, we encounter some of Scotland's bloody past as we visit the ruins of Urquhart Castle in a spectacular setting overlooking Loch Ness. 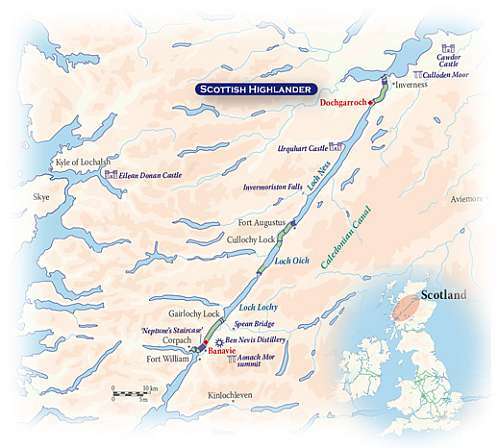 Then we have the option of a gentle drive to the Invermoriston Falls and the "Old Bridge" designed by Thomas Telford where you may even see a salmon leaping, or perhaps a visit to the Clansmen Centre in Fort Augustus for a demonstration of traditional Scottish crafts including kilt-making. This evening we have dinner ashore at a local restaurant. Day 5: Cullochy to Laggan This morning, we take in some of the finest scenery Scotland has to offer as we drive to one of its best known and most photographed castles, Eilean Donan, which has featured in movies such as "Highlander" and James Bond's "The World Is Not Enough" and overlooks three sea lochs. The afternoon cruise today can be partially walked as we cross the very scenic Loch Oich, perhaps stopping en route for a spot of fishing, and onto the pretty Laggan Avenue. As we approach Laggan, our Highland Piper may greet us with a stirring rendition of traditional Scottish music. Dinner on board. 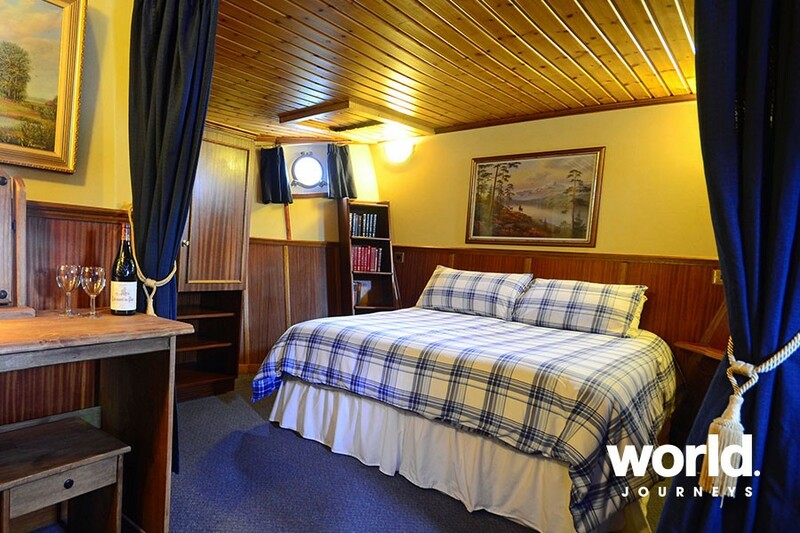 Day 6: Laggan > Banavie Our final cruise today will see us cross Loch Lochy, passing Gairlochy, where there is the option to visit the nearby Spean Bridge Woollen Mill, or perhaps the Clan Cameron Museum. We continue on to Moy Bridge, the last fully hand-operated bridge on the canal to moor at Banavie beneath Ben Nevis and a stroll from Neptune's Staircase leading down to Loch Eil. After lunch on board, our tour today takes us to the mystical battlefield of Glencoe, famed for one of the darkest days in Scottish history. Alternatively, we can enjoy some breath-taking panoramic views on a cable car ride to the summit of Aonach Mor mountain. If time permits, we can also visit the ruins of Old Inverlochy Castle. Captain's Farewell Dinner on board. 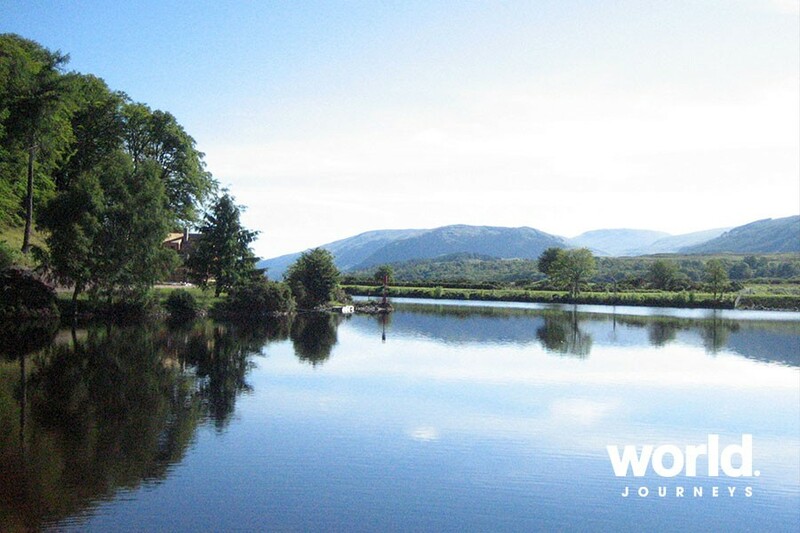 Day 7: Banavie > Inverness After breakfast, transfer to your choice of location in Inverness. *This is a sample itinerary and is subject to change. On alternate weeks the cruise will be in the reverse direction. Please note that the Cawdor Castle excursion is available between 30th April and 1st October 2017 only. An alternative excursion to Fort George will replace it either side of these dates. 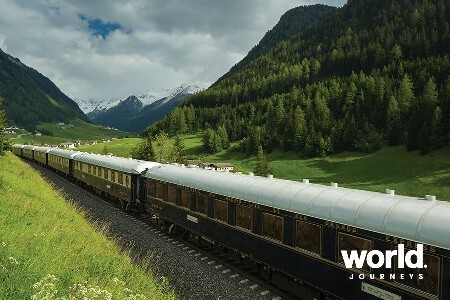 The Scottish Highlander can be chartered for a minimum of 6 passengers - please contact World Journeys for details.